Hello Sendo Sensor, I'm interested in a couple of sensors from you. I like the size of the SS122 sensors and I need a date sheet to purchase them. Also do you have a warranty on your sensors? The submersible level sensor i am looking for right now to be used in water wells. I'm not sure about the temperature but I would guess somewhere around 20C.I am looking for a custom part number because I want a pressure range of 0-35 meters and a cable length of 50meters. The power supply is not so important, I can do either 5v or 10v Dc for a power source. Please let me know if you have any other comments for this. 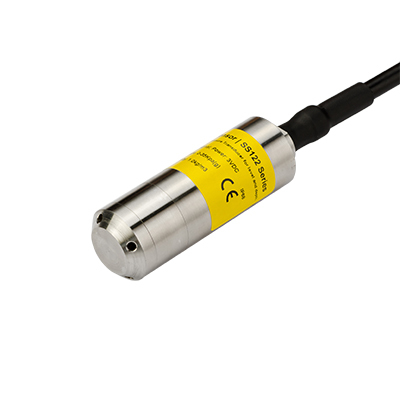 SS122/634/634P series submersible pressure sensors use piezoresistive technology, oil filled, all stainless steel integrated structure with IP68 grade, suitable for liquid level and depth measurement. Their all stainless steel, hermetically sealed housing makes them suitable for immersion in most industrial liquids and oils, are designed to give accurate readings at pressure ranges from 50 mBar up to 20 Bar (corresponding to water column depths of 0.5 m to 200 m). The electrical connection is a special designed PE cable with air tube and the pressure connection part is an exposed 316L stainless steel diaphragm, no pressure port and no blocking problems, easy for daily maintenance. The all-welded design eliminates the need for an O-Ring seal, thereby eliminating potential leak paths. Typical applications including water and sewage treatment plants, water level monitoring at reservoirs/dams, down-hole water wells.